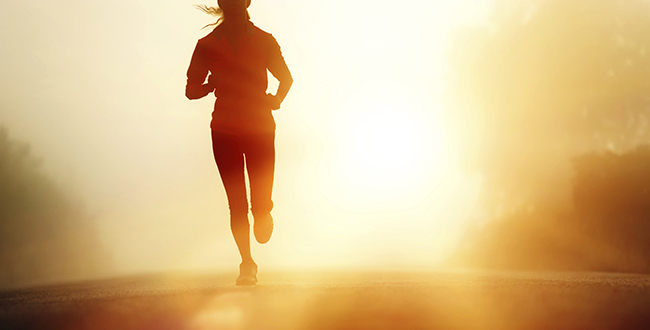 Running is probably the most popular exercise in the world for weight loss. I think the most likely reason is that it’s the easiest to do. Most of us have been running since we were toddlers and pretty much have mastered the technique. While ultra marathon fanatics would probably scream at me and claim that mastering running technique is something that few have done, I think most of us have the methodology down enough to make it the mainstay of our exercise routine. There are some downsides of running. It’s hard on the joints. You have to do it outside which makes it difficult for much of the country during the cold months. There can be chafing. If you’re looking for an alternative to running, it turns out there are many exercises that can be done that burn more calories than running and are thus much more efficient. This allows you to burn more calories in less time and who doesn’t want to free up more time? I found a recent article from Men’s Health magazine that gives you the specs on 10 exercises that burn more calories than running. I love this article because it mentions some exercises I highlighted in my 4 week at home work out plan (click here for that program). It also mentions a great workout from Crossfit (If you don’t know about Crossfit, check out my article on it by clicking here). It turns out that at a 10-minute per mile pace you’ll burn about 10 calories a minute. If you run faster, you can burn even more. But if running isn’t your favorite activity, there are plenty of other modes of exercise that can help you torch calories at a lightning fast rate. Most people don’t realize this, though. That’s often because the number of calories you’re told you just burned is typically estimated fromThe Compendium of Physical Activities, which calculates energy expended through aerobic metabolism. That works well for low- to medium-intensity exercise, but not so well for higher-intensity activities that rely on anaerobicmetabolism. But resistance training isn’t your only option. There are also cardio exercises that can boost your burn, too. We found 10 exercises that will help you incinerate calories—without ever having to hit pavement. This explosive exercise works the big, powerful muscles around your glutes and quads, and sends your heart into overdrive, according to research from the University of Wisconsin. In the study, participants burned 20.2 calories a minute and their average heart was 93 percent of its max for the course of a 20-minute workout. 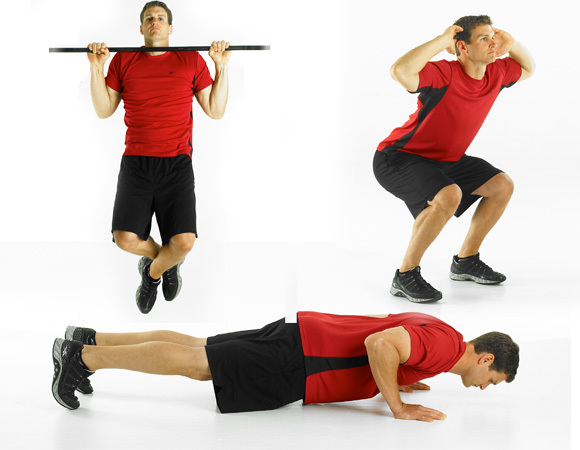 A 180-pound person burns about 1.43 calories per burpee, says exercise scientist and Spartan Coach Jeff Godin. So if you can hammer out at least seven a minute you’re in the double digits. But you should shoot to average at least 10 every 60 seconds, or a rate of 14.3 calories per minute. Why? Performing just 10 reps at a fast pace can rev your metabolism as much as a 30-second, all-out bike sprint, according to a study presented at the American College of Sports Medicine annual meeting. 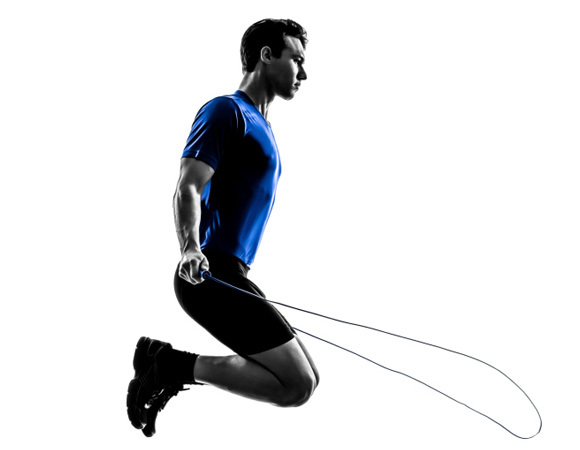 Moderate-intensity rope jumping—about 100 to 120 skips per minute—burns about 13 calories a minute, according to the Compendium of Physical Activities. This mode of exercise uses more muscle groups than jogging, and challenges your balance, and coordination—especially if you practice drills that require extra hand and foot skills. It’s effective because it pairs three exercises—5 pullups, 10 pushups, and 15 air squats— that work different major muscle groups, and you do as many rounds as possible in 20 minutes. If you’re somewhat less than amazing (read: like most people), you simply rest when needed. For example, you don’t move on to the pushup until you’ve completed 5 reps of the pullup, even if you have to stop and start. This four-minute miracle drill burns major calories both during a workout and after. In an Auburn University at Montgomery study, participants who did eight rounds of all-out jump squats—20 seconds of hard work, separated by 10 seconds of rest—burned 13.4 calories per minute and doubled their post-exercise metabolic rate for at least 30 minutes. Above were excerpts from the article but you can read the full thing by clicking here. Good luck! !